Whether your taste is pies or prosecco, calamari or curry, or even gluten-free and vegan, you’re bound to find something on the menu at the annual Our Bury St Edmunds Food & Drink Festival this weekend to whet your appetite. More stalls than ever before will be taking part in the two-day festival offering everything from local produce to dishes from around the globe. The free event, which has become an annual favourite in the town centre, gets underway on Sunday 27 August when the special guest is Jack Stein the executive chef from Rick Stein’s restaurants, pub and cookery school. On Monday 28 TV chef and author Paul Rankin will be in the Stoves Cookery Theatre outside Moyses Hall on Cornhill. 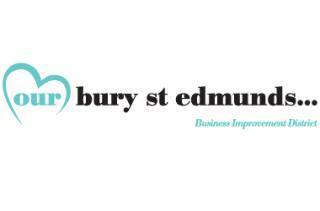 The Festival has grown every year since beginning in 2012 and is organised by the town centre Business Improvement District (BID) organisation Our Bury St Edmunds. Chief Executive Mark Cordell said: “This year we have over 120 stalls in total and will be featuring traders with locally produced food to those bringing flavours from all over the world. For the first time we have a Polish restaurant taking part, as well as Italian offerings from our local Carluccio’s and all kinds of curries including authentic Goan dishes. Plus plenty of stalls will cater for gluten-free, vegan and many other diets. For younger visitors there will be a range of children’s activities in and around the town centre, including cake decorating workshops, face painting, the mini-farm in Abbeygate Street and the beach complete with deckchairs and Punch and Judy at Charter Square in the arc, along with fairground rides and free street entertainment across both days. Full details about the event can be found at www.ourburystedmunds.com/foodanddrinkfestival.